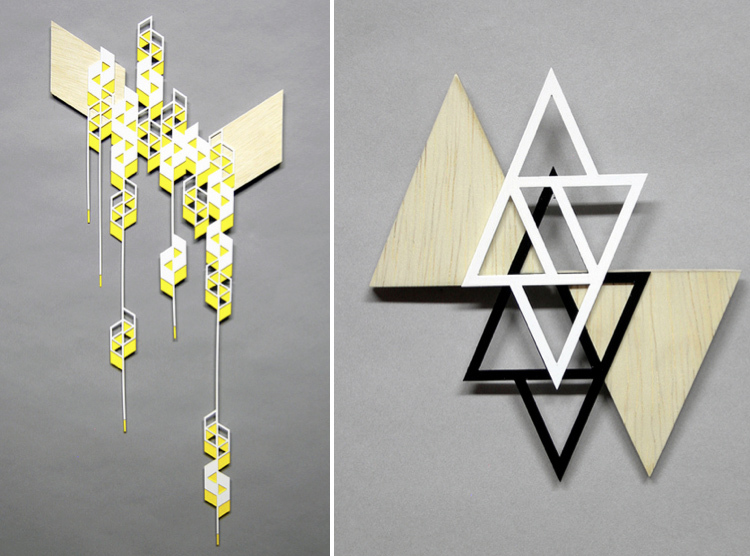 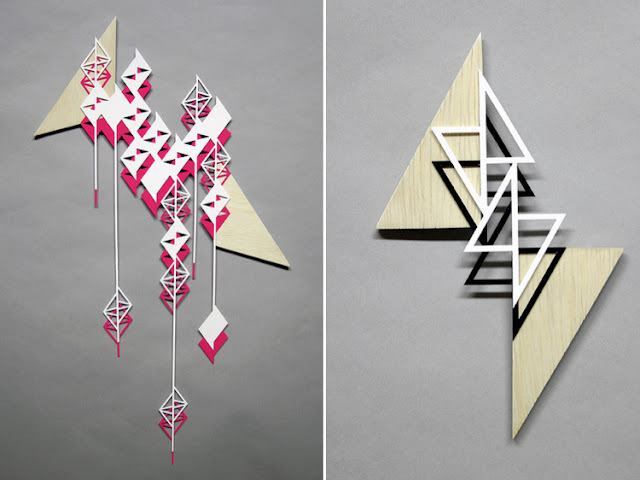 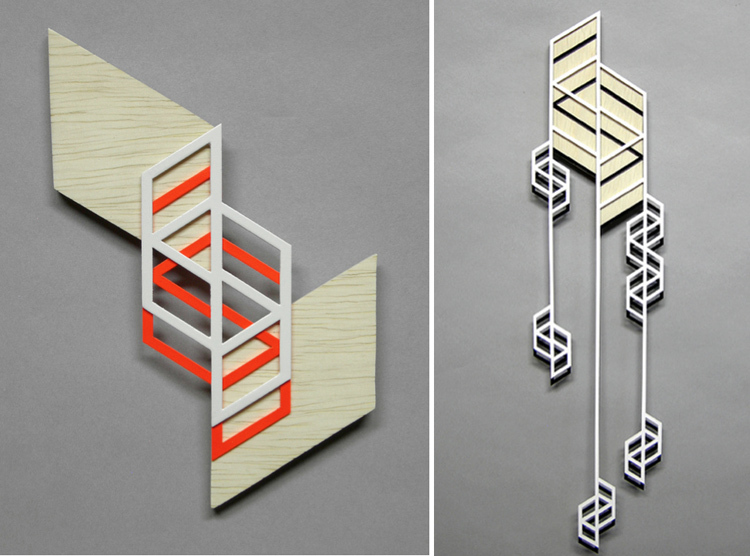 Geometric laser cut wood & styrene sculptures by Denver based artist Sandra Fettingis. Via The Jealous Curator. I have something to say about parallelograms a parallelogram has four sides the opposite sides are parallel and equal,The point where two adjacent sides meet is called Vertex a parallelogram has four vertices a parallelogram has four angles and the diagonals of a parallelogram bisect each other. 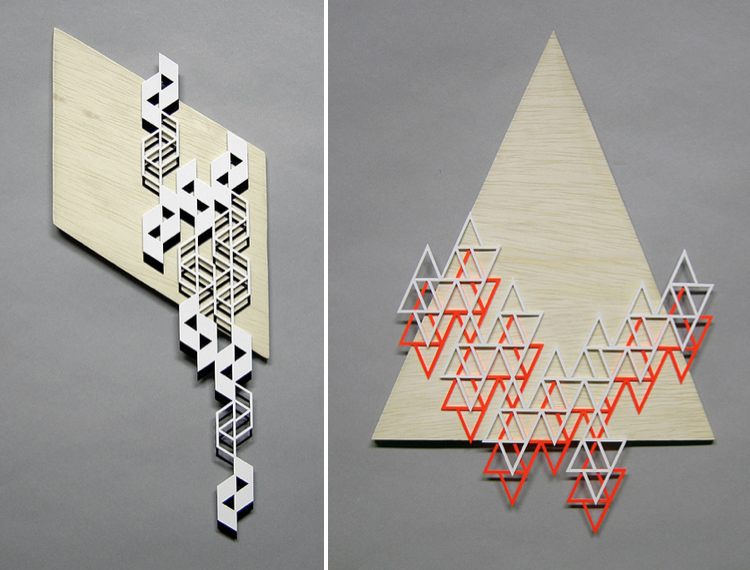 Very technical there ;0). 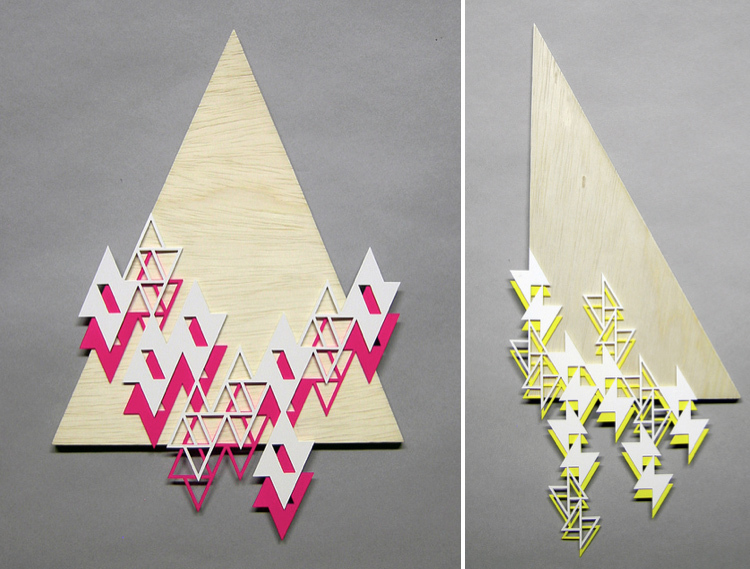 It's the artist's own titles, don't kill the messenger!